The program start out with a bus pulling up to some spot in Japan, and four mysterious girls getting off the bus, and they are none other than the super cute Erena, Natsumi, Sae, and Sayaka. While still blindfolded, they are guided to a place where they are going to do the challenges they’re expecting another typical handshaking event (handshaking event is... let's just continue...). The girls are led into an area with several wooden fences where they wait to be greeted... by a herd of bleating sheep (much Sayaka’s fright :p). The Host pretty much tells the girls that they’ll be doing their handshaking event with animals. The girls (as usual when they hear their Nemousu missions) are like, “Are you kidding me? !” – though Sayaka has some luck handshaking one of the sheep (though the sheep ends up trying to ram her >.< ). It turns out the place they were taken to was Nasu Doubutsuen Oukoku (Nasu Animal Kingdom) which is some sort of petting zoo. The girls chat with one of the staff members about the situation, and he pretty much tells the girls that they can’t just go up to the animals and shake their hand – they’ll have to earn their trust and affection. To do that, the four girls will be working at the zoo for the day. The girls are set in pairs, divided into two teams: Sayaka with Erena and Sae with Natsumi. So far, they’ve covered several animals, and they’ll be trying to shake hands with a few more. Erena and Sayaka walk around the zoo before spotting a camel in its pen. The trainer tells the girls how dangerous a camel can be before showing the girls how he goes about feeding the camel... with its huge lips flapping about and salivating. The girls then try feeding the camel (by tossing feed through its flapping lips) before earning the chance to hug its humps. They are sooo cuuteee! Sayaka then shows some of the different impersonations she’s picked up over the course of the day – first a goat, then a sheep, and then finally the flapping lips of a camel. Erena and Sayaka then make their way to the sheep area where they try to get some of the sheep to relax – by wrestling it so that it sits on it’s rear just like a teddy bear, apparently it was the relax position for sheep. Sayaka tries her luck wrestling a sheep, but it doesn’t quite work. The two girls then work on it a little more, and they finally succeed with the handshakes. After finally successfully making the sheep relax and got their handshakes, the staff member then talks a bit to the girls about sheep poop, and how they can tell if the sheep is healthy or not by the shape and texture of the poo. And to a surprise, the girls receive a little gift from the staff, a snack, a chocolate covered peanuts that look very much like the sheep poo. After the capybara pen, Sae and Natsumi check out a dog show. The two girls end up liking the show (especially having had the opportunity to take part in the show itself by playing catch with the dog using Frisbees), and afterwards are presented an opportunity to work with dogs to do their own mini dog show. The two girls become acquainted with their respective dogs, the bigger one named sakura and... the little one.... aaarrggh, I forgot the dog's name, sorry >.< . Sae first has to practice tossing the Frisbee before working with the dog. It's not as easy as it looks. Without proper practice in throwing frisbees, it would be impossible for the dog to be able to catch it in mid air. Meanwhile, Natsumi does her best to have her own dog cooperate with her as she tries to get the dog to climb over the wooden slope and jump through a bunch of hoops. Heading back to Erena and Sayaka, the two walk around and Erena points out how she’s wanted to meet an alpaca. Fortunately for the two, they spot an alpaca pen with several alpaca inside – though not quite the same thing as Erena expected. (She ends up freaking out.) The two go about grooming the shaggy alpacas, though Erena’s freaked out when one of the alpaca starts making really weird noises and leaves Sayaka to groom the alpaca by herself. Finally, the girls score their handshakes, though Erena takes requires a bit of convincing from the staff. Sae and Natsumi continue their practices with their own challenges – Sae has a hard time getting a good Frisbee toss with her dog, while Natsumi still has problems getting the dog to go through the hoops. Sae has some trouble getting her dog to work with her at first, but manages to score a good toss and catch. Natsumi then goes next with her dog, but unfortunately the dog refuses to jump through the last hoop. Nevertheless, the girls gave it their best. The staff congratulates them for their efforts, and the girls score their final two handshakes with their dogs. And finally, the show then concludes with the girls having successfully completed their animal handshaking mission. 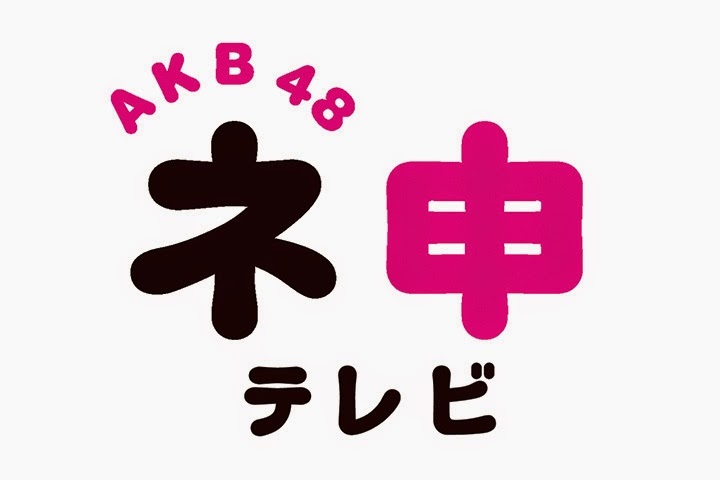 I Love This show, the AKB48 members are sooo cuutee, and their reaction sometimes were even cuter! The only downside is sometimes, I have no idea what the people on the show or the narrator’s saying, because the subtitle Japanese translation text was changing too fast. Before I had even a chance to read it, it has already gone, and start translating the next sentences... I Miss their conversation! And now I have to guess, what they are talking about... :'( But nevertheless still a very good show! But if You like cute girls, especially the AKB48 and funny weird challenges, then this is a must see show! You can catch this show on First Media (channel 340) Entertainment WAKUWAKU JAPAN! Starts on Thursday, 10 April 2014, 10 PM to 10:30 PM, but if you miss it just like I do, You can still watch the first re-run on Tuesday to Friday from 4 PM to 4:30 PM. And the second re-run onTuesday to Friday from 2 PM to 2:30 PM GMT +7.